Handmade Detroit | Make Nice Things tonight, again! Make Nice Things tonight, again! 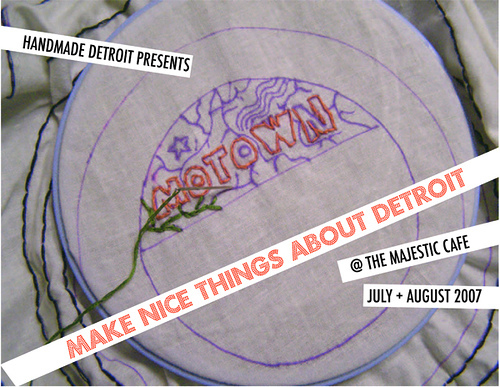 Our second opening for “Make Nice Things About Detroit” happens tonight @ the Majestic Cafe. New work, lots of DUCF vendors and free food. We’d love to see you.